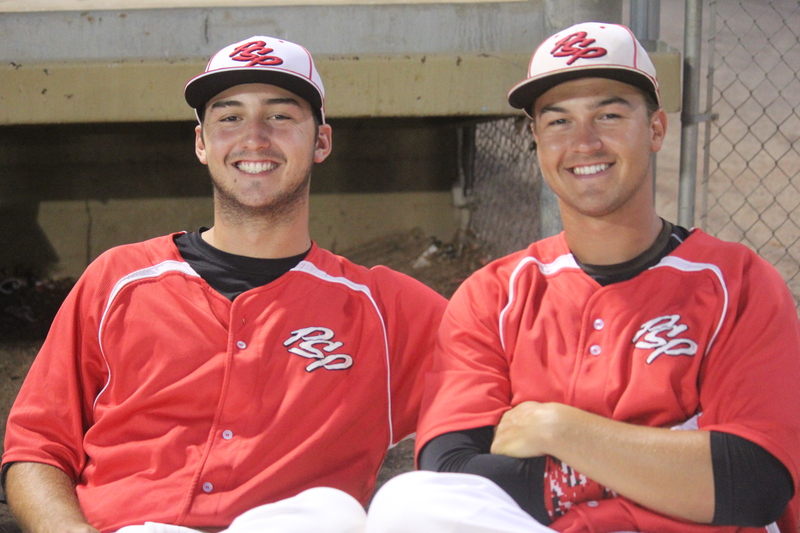 PALM SPRINGS, Calif. – Both graduates of Palm Desert High School, Jonathan Serven (2012) and Max Compton (2013) are savoring a summer playing baseball for the Palm Springs POWER, and the way of life enjoyed by residents of the Coachella Valley. A year ago, both were playing ball away from home for the first time. 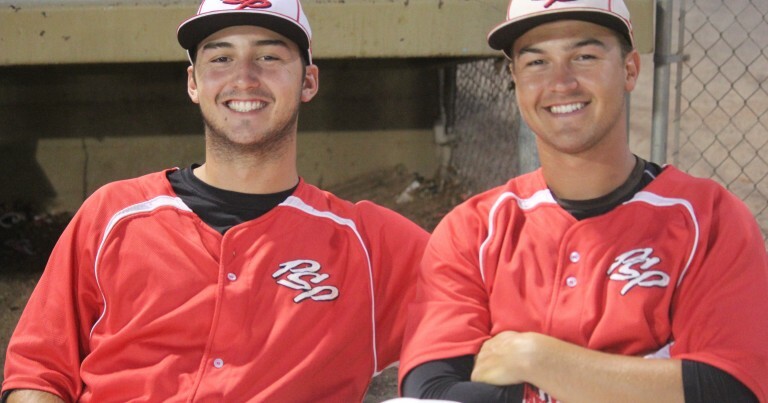 Separated by 322 miles on Interstate 5, the Palm Desert boys had a chance to experience a brand new climate while playing for different teams in the West Coast League. ‘The weather was weird. It was a lot different than being here,” Serven said. For the 2014 season, Serven was with the Cowlitz Black Bears in Longview, Washington, a town sitting on the Columbia River that divides the Evergreen State and Oregon. Six hours by bus to the south, Compton was in Medford, playing for the Rogues. In summer ball, the most important thing is for guys to get a chance to develop their skills while getting more playing time. But the former Aztecs weren’t just in the Pacific Northwest on vacation. Jonathan tied for the team lead with 22 runs batted in, being named Honorable Mention All-West Coast League in the process. As for Max, he posted a 1.28 ERA. Now, they’re back in the desert, playing for the same team once again and loving it. For both Serven and Compton, spending the summer playing for the POWER was hardly even a decision to make. “It’s a good opportunity to be home and play at the same time, so I couldn’t really pass it up,” Compton said. His former high school and current POWER teammate agreed with him. “It’s so nice to be home. Being 15 minutes away from the field? I love it,” Serven said. “Even though it gets hot out here, they love the area. They love how it’s less crowded, the cleanliness, all of it” said Jim Serven, Jonathan’s father. Being home means spending time with the family. For Jonathan the best part is having the ability to do the little things; like working out with his brother Brian or watching their younger sister Kristina’s travel softball or basketball games. “Just being with Jonathan and all my high school buddies is fun,” Max said. Neither Compton (UC Riverside), nor Serven (Long Beach State) attend school far away, but the demanding schedule of being a student athlete means opportunities to return home are limited. “They’re working out, then class, then practice, and then homework. He spends a lot of time up at Riverside on the weekends catching up, so it’s really nice to have him here,” said Roger Compton. Superintendent at Thunderbird Country Club in Rancho Mirage, Roger has been working with his son Max for a few hours each morning this summer. “During the year, there’s no time for work. It’s his first summer working and I think he’s enjoying it,” Roger said. Although they’re only back in the desert briefly, the pair of Palm Desert grads are thinking about similar career paths and lives after finishing up their degrees. “I’m a history major, so I’ll probably end up teaching, but I’m not quite sure yet,” said Max. “I’m a liberal studies major, studying to be a teacher. I want to teach high school math, like Algebra I or II,” said Jonathan. Jim Serven teaches Algebra at Horizon Alternative Education School in Palm Desert. Last year, he became just the second basketball coach in the 28-year history of Palm Desert High School, after serving as an assistant to Don Brady since 2007. Serven has been coaching since 1985. “I want to hopefully be my dad’s assistant for basketball until he’s done, and then be the head coach,” said Jonathan. Just like in high school when he, Brian and Max were all multi-sport athletes, Jonathan doesn’t plan on sticking to just one discipline. He also plans on being an assistant baseball coach. With all of the travel teams, camps and now college ball, there’s been a lot of opportunity to see the country. “Jonathan’s been a lot of places, another thing about playing sports is they’ve traveled all over the United States,” Jim Serven said. The trips for tournaments in places like Hawaii and Florida were unforgettable, but the desert still holds a special place in his heart. “I think he sees that we have a good life, and I think that’s what his goal is,” said Jim. Sport may be timeless, but careers –and moments– are finite. “A long time ago someone told me to try to savor moments, so I look around and I try to just do that – savor moments that aren’t going to be around anymore,” Jim Serven said. Before we know it, this summer will be over and the boys will be headed back to college. Jonathan has a year left of school, while Max has two. 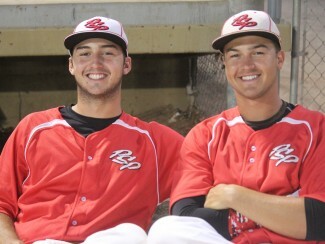 And while they are hoping to help the POWER to a fifth-consecutive SCCBL title, Max and Jonathan will also be making memories that last a lifetime – off the field with friends and family.